Tracing ancestors back to Eastern Europe can be intimidating for first time researchers. Perhaps you've thought, "It's too difficult, or have heard that "All the records over there were destroyed." Certainly, border changes, exotic-sounding surnames, and language issues often complicate the research process, but don't let the myths and misconceptions intimidate you. Follow these steps to successful sleuthing. To successfully trace your ancestors back to the old country, you need to know the immigrant's full name and his/her town or village of origin. So, where do you find this information? First, talk to your relatives and ask them for copies of family documents such as birth certificates, passports, naturalization records, correspondence, and other papers. If there's nobody in your family, you'll need to look for this documentation in public records. Try vital records (birth, marriage, death)--availability and what information is included will vary from state to state. If the civil record is unavailable, then try church records. While U.S. Census Records (1790 -1930) are unlikely to show exact town or village, they provide a picture of a family at a specific time period, as well as other clues. For more information, see "US Census Records: Tips, Links & Online Records." Immigration records--U.S. customs or passenger lists--may or may not contain the name of the ancestral town or village depending on the year of the record and how the information was recorded. 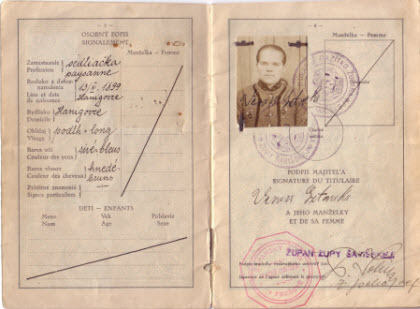 For an overview, read the article, "How to Find Immigration Records & Passenger Lists." Be sure to check port of departure records, and naturalization records (especially the Declaration of Intent, or First Papers. For more information on Emigration Immigration, and Naturalization, click here. While it's tempting to want to jump across the ocean to "get to the good stuff" (i.e. those records that will prove your ancestral ties to the old country), it's smarter to make sure that you first locate all records for your immigrant ancestor in North America. This strategy not only helps you to track down the name of the ancestral village, but it also gives you proof that you're researching the right family line in the event you discover your surname is a common one back in the old country. Some key records to check include: Cemetery, burial and funeral home records, military pensions, land and tax records, wills and/or probate records, Fraternal organization insurance records/newspapers, state, county and town histories, and border crossing records (if you suspect your ancestor came through Canada). Before inquiring about records overseas, do a place search in the Church of Jesus Christ of Latter-day Saints Family History Library (FHL) catalog to see which records they have available on microfilm. If you do not find anything for your village listed, you may need to search on a nearby larger town since sometimes records for a particular area of several villages were kept in one place. You'll also want to check the FamilySearch Record Search Pilot, the church's growing project to digitize records and post them online for free. Click "Browse our record collections" and click on Europe. You'll see a few listings of records (mostly browse-only images) for the Czech Republic, Germany, Hungary, and Slovakia. Keep checking back for new entries. When you start looking for records in Europe, it won't be sufficient just to know that your ancestor immigrated from "Austria," "Bohemia," or "Hungary"--or even that he came from "Vienna," "Prague" or "Presov" or another large city. An immigrant would often note a large city as their place of birth simply because it was a more familiar point of reference. But be aware that in most foreign countries, the majority of records were kept on a local level, in a town hall or parish office. After the First World War the massive Austro-Hungarian Empire was dissolved--dramatically altering both the geographical and political landscape of Eastern Europe. As a result, borders shifted, administrative changes happened, and some towns and villages may have received new names. When searching for a particular village, you may not see it spelled on a map the way you've been told. You may be working with a phonetic spelling done by a clerk who had never been to the area in question, but who was simply trying to understand what your ancestor was saying. Additionally, place names may have been simplified or even spelled phonetically during the documentation process. Therefore, it's not uncommon to come across numerous name variants for some places. Check libraries for current and historical maps and atlases, and gazetteers (geographical dictionaries listing towns with their political jurisdictions and containing information about population, churches/religion, and other pertinent details). The FHL has an extensive collection of maps and gazetteers--check the online catalog, and the FamilySearch Research Wiki for guidance. Also, check the Federation of Eastern European Family History Societies' Map Library and Osztr�k-Magyar Monarchia (1910). JewishGen's Shtetlseeker can also help you locate many Eastern European towns (see the site for full details on what you can expect to find). It's important to identify your ancestor's name both pre- and post-immigration. Be careful not to base your research solely on the way your name is spelled or because a family member insists that a surname has "always been spelled that way." Surname spellings often vary in grammatical context, depending on the area. Many immigrants "Americanized" their names upon arrival. Some adopted the English equivalent, while others made the spelling appear more American, or chose a similar-sounding name. Just don't buy into family that Ellis Island immigration officials changed peoples' names. This was not the case. See "American Names: Declaring Independence" by historian Marian L. Smith. Learn more about East European naming practices and changes from the article, "The Mutilation of Eastern European Names" by William F. Hoffman. When conducting searches in indexes and online databases, be sure to search for all conceivable variations and phonetic spellings. Be aware of spelling variations, and handwriting inconsistencies. Try reversing first and last names, or add a middle name, or just on first name (if unusual) and location only, and use wildcards (* and?) whenever possible. Using search tools such as Stephen P. Morse's One-Step Webpages to conduct "sound-like" searches on names and towns may also help you find those elusive immigrants in a sea of online records. If your FHL searches fail to turn up microfilmed records for your ancestral town or village, the next step is to contact the appropriate archive or repository, either by submitting a written request, traveling there to conduct research on your own, or hire a researcher to act on your behalf (See #6 below). Once you locate records, you'll quickly notice that they're not in English. Foreign records may appear in Cyrillic, German, Hungarian, Latin, or other languages. But don't get lost in translation. Google Translate or BabelFish can help you translate some key words and short phrases. You can also search the FHL Catalog under "Research Helps" for available word lists, or hire a translator (see #6 below). Step 6: Ask the "Pros"
If the FHL has not microfilmed records, or if you can't get the records you seek by writing to foreign archives, and are unable to travel to the country to perform the research yourself, your best bet, in some instances, may be to enlist the services of a professional researcher based in that country. Hiring a pro can be expensive, but if you want to obtain multiple records, then finding someone who's familiar with the area's geography, history and languages, and who has permission to access restricted record, may prove the most effective option. To locate a list of potential researchers for your country of interest, try Cyndi's List or the Czechoslovak Genealogical Society International. 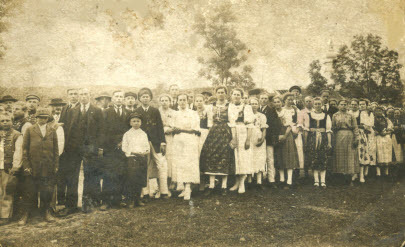 East European genealogists often face some unique barriers along their journey back to the homeland. But it's not impossible. A smart research strategy that utilizes all available resources, coupled with enough patience and persistence can go a long way in helping you track those elusive ancestors and achieve desired results.